Modern inkjet printers can be a significant source of frustration. They don't give you much longevity, the ink costs are prohibitive, and they always seem to run painfully slow just when you need a fast print. If you're tired of fighting inkjet printers, a laser printer is worth considering. Laser printers deliver excellent performance at a good price. They're fast, making them ideal for busy home offices or businesses. They create incredibly sharp prints. And they're a far better value than they were a decade or so ago. When considering buying a laser printer, it's natural to generate comparisons to inkjet printers. We've broken down how these two types of printing technologies differ. Tray Capacity: Having a large paper tray in the printer means you don't have to refill it as often, which is nice in a busy setting. Both laser and inkjet printers might have large paper trays or more than one paper tray. Like an inkjet printer, laser printers have ongoing costs for consumables. Toner cartridges for black or color will cost $30 to $100 apiece. For a color laser printer, you'll need four toner cartridges (black, yellow, cyan, and magenta). Each cartridge should last between 1,000 and 4,000 printed pages. The cartridge must be compatible with your model of laser printer. Beyond the ongoing costs, laser printers don't have a huge upfront cost. Basic laser printers that print in black only may cost $50 to $350. Cheaper monochrome laser printers will run a bit slower than more expensive models. Color laser printers made for use at home have a price between $100 and $600. Some laser printers will deliver all-in-one capabilities. This means the laser printer can create digital scans, make copies, and send faxes in addition to making prints. For a small office or home office setting, it's nice to have multiple functions within one unit. What we like: Doesn't take up a lot of space, which is nice for the home office. Also delivers fax, copy, and scan capabilities. 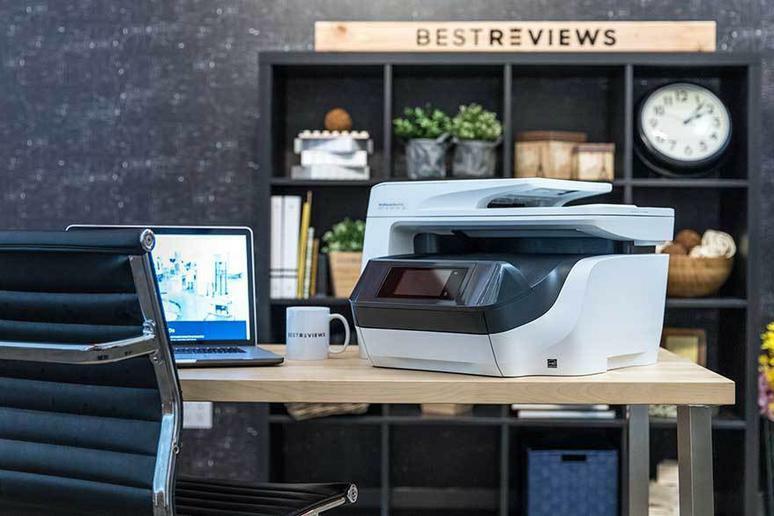 Our take: Doesn't offer color laser printing, but it's a fast performer and a nice value among black-and-white printers. Our take: Printer runs quietly, and it's easy to use, which is important in certain home office settings. What we dislike: Printer doesn't always maintain its Wi-Fi connection when coming out of sleep mode.